During 2017, PhD students at the Center for 21st Century Music have received national and international recognition through festival appearances, grants, awards, commissions, performances, and curatorial activities. 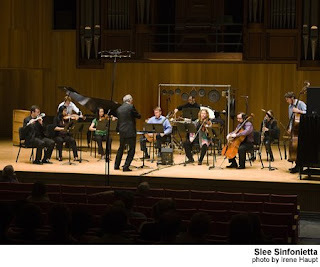 Music by Center PhD students appeared at festivals around the US, Canada, and Europe this year. Weijun Chen was selected for two prestigious national residencies—the Atlantic Center for the Arts (with faculty composer Derek Bermel) and the Virginia Center for the Creative Arts. Matt Sargent’s music was featured on Columbia University’s “Re-embodied Sound” Symposium, the first event of its kind examining possibilities with transducers in music and sound art. Jessie Downs appeared as both composer and vocalist at Longy School of Music's Divergent Studio and Loadbang's Contemporary Chamber Connection; the former presented a performance of her composition Shadow a Thing. Downs was also a featured composer at Vocalypse's Opera from Scratch Workshop in Halifax, Canada, and was selected to attend the upcoming Royaumont Contemporary Voice workshop with Juliet Fraser. Matthew Chamberlain recently returned home from the Royaumont Voix Nouvelles (New Voices) Composition Workshop in France, where a new piece was performed by Quatuor Tana and Ensemble Multilatérale, leading to a commission for a new work for pianist Claudia Chan in 2018. Matthew’s appearance at Royaumont was part of the inaugural year of an exchange program between Voix Nouvelles and the Center’s June in Buffalo Festival. Matthew Chamberlain’s commission from Royaumont was one of a number of prestigious commissions, grants, and awards received by Center PhD students during 2017. Matt Sargent was awarded a commissions from the Hartford Independent Chamber Orchestra and the Switch~ Ensemble. The latter project was awarded a New Music USA Project Grant, to support the ensemble touring the piece across upstate NY in Winter 2018, including a local stop at Buffalo State College. Recognition of Center PhD students' work has been not only national but also international: Igor Coelho Arantes Santana Marques’s Escenas, arranged for string orchestra and piano, was a finalist in the 4th Música Hoje National Composition Competition in Curitiba, Brazil. In 2017, Center PhD students received performances across the US, Canada, Europe, and South America. Two PhD students are beginning to develop a long-term collaborative relationship with the rising Ensemble Mise-En: Meredith Gilna’s Gravity Shuffle will be performed by the ensemble October 5, and a new work of hers, written especially for the ensemble, will be premiered by the group on October 16; Matt Sargent’s piano solo Going, gone was also written for the ensemble, who have programmed it multiple times, most recently in April. Sargent’s works were also programmed at EMS Stockholm (Sweden), Reykjavik Art Museum (Iceland), on the cutting-edge music series Indexical (at the Santa Cruz Museum of Art and History), and on UC San Diego’s new SlowSD Festival of Slow Music. Other notable performances of works by Center PhD composers include the Spektral Quartet’s performance of Weijun Chen’s Canoe at Western Michigan University and Michael Matsuno’s premiere of a new work for flute and electronics at Harvard University. Numerous Center composition students are also active as curators, performers, and conductors, seeking to be directly involved in the performance and presentation of their own works and those of fellow living composers. Matthew Chamberlain has been active as a conductor, premiering Center PhD alumnus Nathan Heidelberger’s Faust Project, a theatrical adaption of Faust with live music for an ensemble (supported by UB’s Creative Arts Initiative), and conducting premieres of student pieces at June in Buffalo. In October, Matthew will conduct the Slee Sinfonietta in two pieces by Bernard Rands on a concert to celebrate his receiving an honorary doctorate from SUNY (stay tuned for a future post about this concert). Next spring, Oberlin Conservatory has invited Matthew to be artist in residence, where he will conduct Du Yun's Pulitzer Prize winning opera Angel's Bone as well as work with the Conservatory's contemporary music ensemble and Sinfonietta on a new piece commissioned by them. Null Point, an initiative for new music and sound art led by PhD candidate Colin Tucker, gave the world premiere of PLACE, a previously unrealized extended outdoor piece written in 1975 (!) by David Dunn, who is now a highly recognized figure in American experimental music. Supported by New York State Council on the Arts and UB Department of Music, the project was co-curated by Tucker and Center PhD alumnus Ethan Hayden, both of whom also performed in the piece alongside current Center PhD students Jessie Downs, PhD alumnus Zane Merritt, and former June in Buffalo guest artist (and UB music student) Jonathan Hepfer. The project received press attention internationally in the The Wire as well as locally, and will be the subject of a special issue of the journal Sound American in Winter 2018. Tucker was also part of a team who curated an exchange project with Norwegian musicians which culminated in 2017’s June in Buffalo Festival. As this publication described in a previous post, Tucker, together with Center Director David Felder and Norwegian Academy of Music Professors Henrik Hellstenius and Kjell Tore Innervik, Norwegian ensembles Cikada Trio and Bifrost Ensemble and Norwegian composers Henrik Hellstenius and Eivind Buene appeared at this year's June in Buffalo. The Bifrost Ensemble—a group of graduate performance students at the Norwegian Academy led by Innervik—presented a concert of world premieres of works by Center PhD students Roberto Azaretto, Derick Evans, and Colin Tucker and Norwegian Academy graduate students. The new pieces were also performed at NYC's Norwegian Seamen's Church and will be performed in the near future in Oslo. The exchange between the Center, the Norwegian Academy, and Cikada, will occur again in 2019, when it will be expanded to include more student composers from both UB and the Academy. Sotto Voce Vocal Collective, led by PhD student Jessie Downs, celebrated its first full year as an ensemble, with five self-produced concerts and notable guest appearances. Sotto Voce performed on the Burchfield Penney Art Center’s retrospective of the music of former UB graduate composer and Creative Associate Julius Eastman (previewed in a widely read New York Times article), and joined Null Point as featured artists in the inaugural event of a new performance series at Buffalo’s newest arts space, the Cass Project. Among its members are Center PhD student Brien Henderson and PhD alumnus Ethan Hayden. The Center for 21st Century Music welcomes Robert Carl on September 29 for an artist talk and masterclass with graduate students. 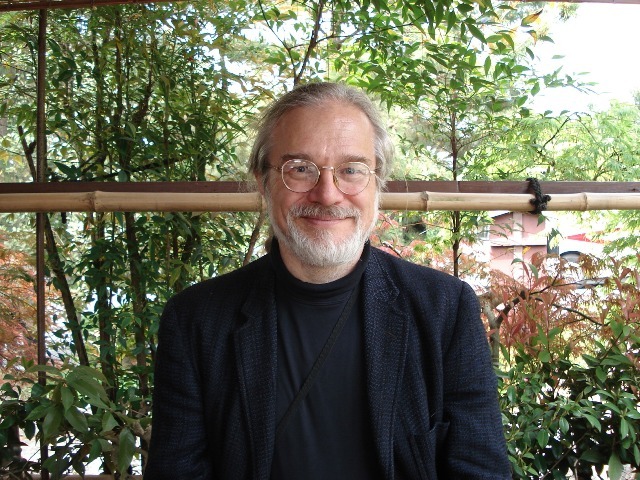 Currently chair of the composition department at the Hartt School of Music, University of Hartford (CT), Carl’s distinguished career began with an especially varied and extensive education, followed by performances at venues like Carnegie Hall, IRCAM, and New Music America, and awards, fellowships, and residencies from a surprisingly exhaustive list of major institutions. Carl’s degree studies took place at Yale University, the University of Pennsylvania, and the University of Chicago. He also received a Lurcy Fellow for study at France’s highly regarded Conservatoire Nationale Supérieure and Université Paris-Sorbonne in 1980-81. His principal teachers included Iannis Xenakis, Betsy Jolas, Ralph Shapey, George Rochberg, Jonathan Kramer, George Crumb, Richard Wernick, and Robert Morris—an unusually diverse group of composers, both aesthetically and geographically. 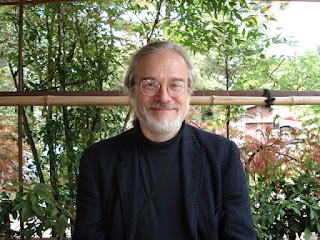 He has received awards and fellowships from most major national American granting institutions (American Academy of Arts and Letters, National Endowment for the Arts, Chamber Music America, and Tanglewood, and residencies from many of the most prestigious national and international residency sites (Copland House, Camargo Foundation, Bogliasco Foundation, Rockefeller International Study Center (Bellagio, IT), Youkobo ArtSpace, Tokyo Wonder, Site Yaddo, Djerassi Foundation, Ragdale Foundation, Ucross Foundation, and the MacDowell and Millay Colonies). Carl’s early compositions cultivated dialogue between contrasting historical styles, perhaps most strikingly in the 1992 saxophone quartet Duke Meets Mort. This work takes harmonic commonalities between the musics of Duke Ellington and (former UB professor) Morton Feldman as a point of departure, imagining Ellington’s Mood Indigo in the musical voice of Feldman. In the video below, Carl speaks about this work. In Carl’s recent work, reference to historical styles is less explicit and less specific. The 2008 Fourth Symphony constructs wave-like accumulations and dispersals of kinetic energy. The music emphasizes shifts in kinetic energy through interaction between textures distinct in rhythmic and melodic momentum; by approaching these two parameters, as well as harmonic rhythm, in counterpoint against each other, the piece achieves a multidimensionality of directional energies that is rare in post-tonal music. In the symphony, historical referentiality is hardly absent but is more diffuse than in the composer’s earlier work: Fourth Symphony converses with generalized symphonic conventions like four-movement form, figural/orchestrational topoi, and sweeping gestural rhetoric. My work has always been concerned with time. At first this meant inventing musical techniques and forms that allowed for a peculiar flow of musical events, dynamic yet not always straightforward. Later, my "pre-musical" background as a historian reasserted itself, bringing more and more artifacts of my earlier life, earlier music, and other eras into my music, in a play of memory and shadow. For me, time is a substance both malleable and “crystallizable”. By shaping form in a manner similar to making a sculpture, I have found that I am able to create an ever-broader sense of space in my pieces, even when they are information-rich. As a result I hope that by creating a sense of amplitude into which the listener can enter, and trying to synthesize diverse historical elements, I can create something of a model for how s/he can cope with our increasingly fragmented, intense, and vertiginous experience of life today, and find a sense of energizing peace. Tied into this sense of space, of rendering even complex events clear, is the way I’ve come to conceive of harmony in the last decade or so. I’ve been using “screens” of overtones from which to derive new harmonic combinations, and whose common partials create links for modulation. So far--it my ear at least--the result is a sound that’s fresh and satisfying. It also sounds “natural”, whatever that means. I do feel, however, that the flow and shape of my pieces is closer to natural phenomena than ever before, and the music is more “itself” than ever, with less need to symbolize something. And having begun this practice with harmonic structures that follow overtone relations but remain in equal temperament, the composer as also begun a series of recent works to “unmask” the true relations with works that follow the same strategies but use just intonation. One world I live in is more scholarly, so it demands research, references, footnotes. Another is critical, intuitive and usually focused on a particular piece, artist, or some mix thereof. [Survivable Music] is something in between. …I’d like to think this is criticism in an elevated sense of the word, an examination of current musical practice, aesthetics, and possibilities, attempting to draw conclusions, and maybe shed some new insights…The form is the essay, the tone is that of a lecture, often very much off-the-cuff. Or perhaps it’s more precise to say these are journalistic dispatches from the aesthetic front. To learn more about Robert Carl’s work, check out his interview with New Music Box below, or visit his extensive website. 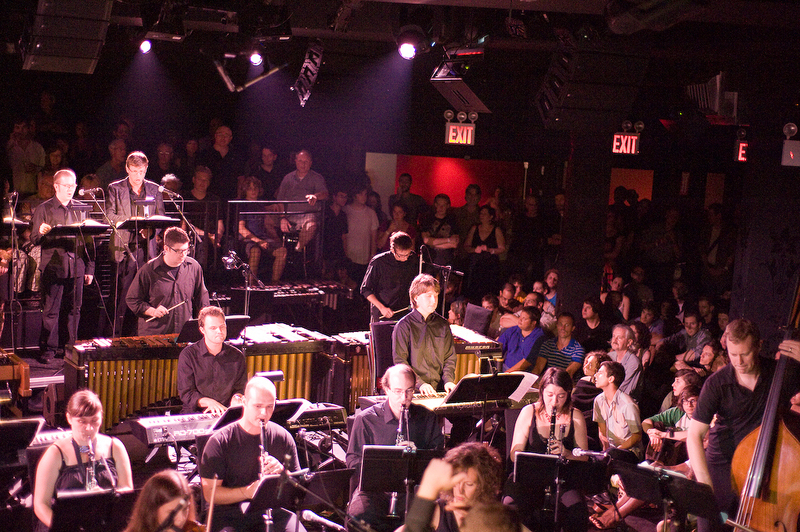 The Center for 21st Century Music welcomes Ensemble Signal on September 19 for a performance of Steve Reich’s concert-length Music for 18 Musicians. Please note that the concert begins at the later-than-usual time of 9pm; it will be preceded by a talk by Signal’s co-artistic directors Brad Lubman and Lauren Radnofsky at 8:15pm. Previously, this blog examined long-standing collaborative relationships that led to the concert: between Signal and Steve Reich, and between UB’s music department and the composer. In this post, I introduce the piece itself and contextualize it within a broader history of minimalist music. Completed in 1976, Music for 18 Musicians is often understood as a turning point within Reich’s compositional development, as a pivot from his strictly-composed, experimental early works to his more conventionally “musical” later works. It also functioned as a pivot in Reich's reputation, catapulting him to widespread renown within both art music and pop music worlds—orchestral commissions followed it, while the ECM recording of the piece sold over 10,000 copies and a live performance of the piece sold out the New York nightclub The Bottom Line. To understand where the piece came from, it is productive to consider the intensive earlier musical investigations of Reich and fellow minimalists. Historically, minimalism could be understood as an attempt to negate tonal modes of listening through the use of a limited palette of musical material. While numerous composers of the 1950s (John Cage, Milton Babbitt, Karlheinz Stockhausen, Iannis Xenakis) tried to challenge tonal listening habits by expanding and exhausting bandwidths of material, the younger minimalists attempted to achieve a similar end result through opposite means. If the former composers used discontinuity to overwhelm listeners’ capacities for syntactic listening, the latter use repetition and prolongation to underwhelm this mode of listening, instead encouraging a listening focused on the here and now of live performance. The degree zero of early minimalism might be LaMonte Young’s X for Henry Flynt (1960), in which a heavy sound or cluster is repeated uniformly, regularly, and for a long period. This is music in extreme close up; there is no possibility of zooming out to orient oneself through anything resembling musical syntax. The piece’s restricted space simultaneously closes and opens: it impedes the possibility of tonal listening, but activates intensified focus on the particulars of the repeated sound’s envelope and spectrum, its interaction with acoustic space, and its status in listeners’ perception and memory. Two successive repetitions of the sound are never identical; the piece frames repetition as a guise for focused perception of subtle differences. Was the most recent repetition of the sound different from the last? If so, did I merely perceive it as being different? In this case, did my ever-changing memory bank of sounds play a role in reframing my perception? In encountering this piece, listeners listen to their own listening. The music does not have “objective” content that exists independently of the act of listening, as in tonal music; its content is the act of listening. Thus while listening in tonal music requires decoding "objective" content; listening in X for Henry Flynt invites open-ended exploration of ambiguous boundary spaces—between same and different, between sound object and perception, and between perception and memory. These broad parameters of listening pertain to much later minimalist music. For early minimalist composers Terry Riley, Steve Reich, Philip Glass, Tony Conrad, and Young, a key challenge was that of orchestrating duration. How can the composer “keep the ball in the air” without resorting to tonal approaches to time? How long must repetition and/or prolongation proceed to disorient tonal listening expectations; at what point does an aesthetically unproductive boredom set in? How can the composer create decisive shifts of perspective even while maintaining the continuity necessary to keep listening in the here and now? 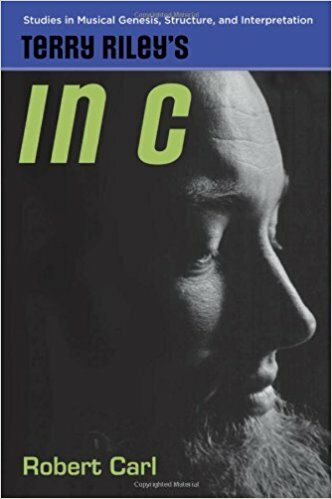 Terry Riley (a former UB Creative Associate) answered these questions with bottom-up variation processes applied to looped melodic cells, while Young and Tony Conrad (a former UB professor) answered these questions through harmony based on resonance. For the younger minimalists Reich and Glass, these procedures perhaps too closely resembled traditional “composerly” decision making, and yet at the same time may have seemed quite arbitrary. In the mid to late 1960s, both Reich and Glass both sought out deterministic algorithmic processes that could determine the unfolding of melodic/rhythmic cells. Reich's phasing pieces first employed recorded samples of voices--It’s Gonna Rain (1965) and Come Out (1966)--and then later used live instrumentalists. After working exclusively with phasing for five years, he developed additional ways to vary fixed cells of material: “gradually substituting beats for rests (or rests for beats) within a constantly repeating rhythmic cycle,” “the gradual changing of timbre while rhythm and pitch remain constant.” These techniques feature prominently in Drumming, where they allow the composer to explore a concert-length duration. In Music for 18 Musicians, Reich further expands his collection of variation processes, allowing for greater scope and flexibility in varying fixed rhythmic and melodic cells. Notably, certain more "conventional" musical possibilities excluded from his previous music take on a prominent role in this piece: harmony, dynamics, and core orchestral instruments (violin, cello, clarinet, bass clarinet). The piece employs the largest ensemble Reich had used to date—his trademark keyboard instruments constitute the core of the ensemble (6 percussionists on marimba, xylophone, and vibraphone without motor and 4 pianists), augmented by melodic instruments (violin, cello, 2 clarinets/bass clarinets) and voices (4 female voices). Like Reich’s earlier work, Music for 18 is built around a central melodic/rhythmic cell, introduced after the piece's introductory section. (This cell is rhythmically identical to that used in Reich’s earlier piece Clapping Music.) This cell, like a similar one used in Drumming, is 12 pulses long; beneath its surface syncopations, it poses a deeper ambiguity to listeners: is the cell as a whole divided in 3 (3 groups of 4 pulses) or 4 (4 groups of 3 pulses)? While in earlier works, Reich presents traces of two incompatible ways of metrically interpreting a rhythmic cell, in Music for 18, the cell is accompanied by sustaining instruments alternating between two harmonies; the timing of harmonic changes momentarily tips the scales towards a single metric interpretation of the figure. Significantly, where Reich's earlier pieces approached form as the gradual unfolding of a linear process (i.e. phasing), form in Music for 18 is more exploratory and flexible, presenting a non-teleological sequence of perspectives on a common rhythmic/melodic object. Music for 18 thus evinces a broader aesthetic shift in Reich's work: while the early phasing pieces use deterministic processes to uncover possibilities that might elude a more conventional composerly intuition, Music reintroduces some of these considerations into the new approaches to structure and listening developed in the earlier works. The Center for 21st Century Music is delighted to welcome Ensemble Signal on September 19 for a performance of Steve Reich’s concert-length Music for 18 Musicians. Please note that the concert begins at the later-than-usual time of 9pm; it will be preceded by a talk by Signal’s co-artistic directors Brad Lubman and Lauren Radnofsky at 8:15pm. Coming on the heels of the release of Signal’s acclaimed recording of the piece, the performance marks the culmination of partnerships between Signal and Reich and between the Center and Reich, detailed below. This blog will publish another post in the coming days introducing the piece itself. Released in 2015, Signal’s studio recording of Music for 18 Musicians has been praised widely and effusively. Awarded the prestigious Diapason d’Or Award (given by reviewers of the French Diapason magazine), the recording received high praise from the composer himself, who wrote that “Signal has made an extraordinary recording of Music for 18 Musicians. Fast moving, spot on and emotionally charged.” Critics have given the album similarly glowing praise, with David Weininger of the Boston Globe writing that “two excellent recordings of Steve Reich’s epoch-making “Music for 18 Musicians” exist already…[including] one by Steve Reich and Musicians…But this new version, by the New York-based Ensemble Signal, bests them both.” The album is available to stream on Spotify; a clip of a live performance of the piece by Signal is available here. Signal’s commitment to Reich’s music goes far beyond this piece. In 2016, the ensemble was involved in 80th birthday concerts of the composer's music at the Miller Theatre, Guggenheim Museum, Carnegie Hall, and Cal Performances, playing Reich’s early works, recent works, and everything in between. This season, Signal has premiered a new Reich work entitled Runner, with upcoming repeat performances at Carnegie Hall and Washington Performing Arts. Signal’s music director Brad Lubman brings an even more extensive engagement with Reich’s work. Among the many world premieres Lubman has conducted, four are Reich works: Three Tales, Daniel Variations, Radio Rewrite, and Variations for Vibes, Pianos and Strings. Lubman went on to record Radio Rewrite--inspired by songs of the rock band Radiohead--with Signal. The conductor has written and spoken extensively about Reich’s music: in an article on the composer’s website, in an interview with the Rochester City Newspaper, and in an extended audio conversation with Reich himself moderated by WXXI’s Brenda Tremblay (see below). 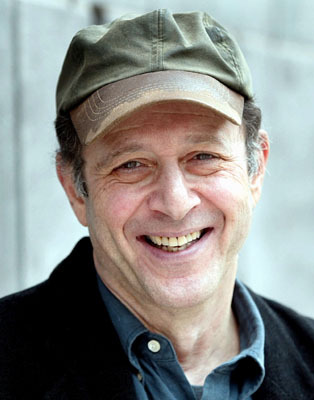 Reich has since been invited to June in Buffalo as composition faculty—in 1987, 2000, 2003, and in 2010, when he received an honorary doctorate from the university. A range of his works have been performed at June in Buffalo: everything from large-scale works like City Life and Three Tales (the latter piece for film and ensemble was part of the 2003 festival’s “Music and Image” focus), chamber works like the Pulitzer-prize winner Double Sextet, and rarely performed works like Six Pianos. Faculty performers include Jonathan Golove, cello, Eric Huebner, piano, and Tiffany Du Mouchelle, soprano.